Please welcome back the redbacks first Imperial Navy Trooper IN-4159 Beanie. Nice job Beanie!! Your position awaits you on our latest star destroyer. In the navy....you know how it goes, sing along. 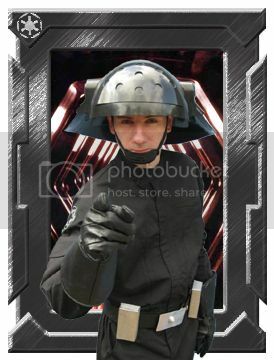 YES payne, i did and then i sold the helmet had to retire the costume and then i found a much better cleaner helmet. and yes get that damn Snowie approved brother! Congrat's for the 2nd time. Well done for another one beanie . Nice, how many is that now beanie?